When it comes to something as important as your smile you want to seek the most qualified practitioner and dental implants specialist. Dr. Vito’s depth of knowledge and artistic vision complement his ability to consistently provide his patients with the healthy, functional and aesthetically pleasing smile that they desire. For close to three decades he has been serving patients to address their dental concerns and provide the best dental solutions for their individual needs. Dr. Vito is one of the few multi-dental specialists in the world with specialty training and certification in three dental disciplines: Prosthodontics, Periodontics and Implant Dentistry. He has received extensive training in both the restorative and surgical aspect of dental implants and bone grafting and has earned two fellowships and two Board Certifications in Dental Implants. He is one of the few Dual Board Certified Dental Implant Specialist in Pennsylvania and the world. Restore the function and appearance of your smile today! For your comfort and needs, sedation services are available in Dr. Vito’s office. 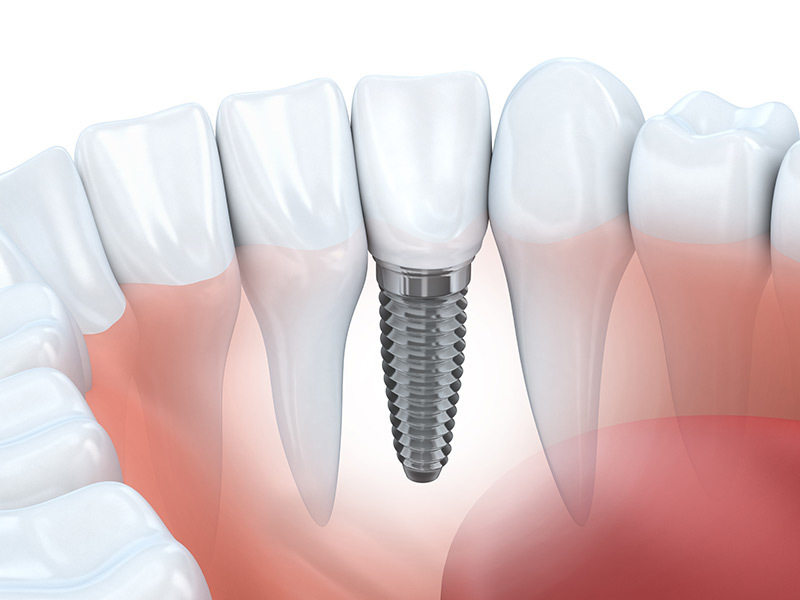 Dental implants are titanium substitutes for the missing natural roots of your teeth. Missing teeth, whether single or multiple, can not only destroy the aesthetics of your smile, but may also cause drifting, twisting and eruption of the teeth. This will cause a disruption of how the teeth come together, which results in difficulty in eating and speaking as well as increasing your chances of possibly developing periodontal disease and TMJ (Tempro Mandibular Joint) symptoms. Dental implants are utilized in situations where there is not enough remaining natural teeth to support a fixed bridge restoration or a situation where the remaining natural teeth are compromised either through decay or periodontal disease or if it is the patient’s desire to replace the missing tooth or teeth without involving the otherwise intact and healthy natural teeth. The cost of implants depends on the condition of your gums and jaw bone. Additional factors will determine cost. Dr. Vito will discuss price after a thorough evaluation. Don’t want to undergo invasive surgery? Learn about Mini Dental Implants. A dental bridge is a common, affordable, time-tested, and low-risk treatment for missing teeth. A Dental bridges literally bridge the gap created by one or more missing teeth. A bridge is made up of two or more crowns for the teeth on either side of the gap. The supporting teeth (anchors) are referred to as abutment teeth and the false tooth/teeth in between are referred to as pontics. Dental bridges are supported by natural teeth or implants. Dental Bridges involve drilling or preparing in some situations healthy intact teeth to serve as the abutments for the dental bridge. Dental implants can be surgically placed to replace just the missing tooth/teeth and leaving the otherwise healthy natural teeth intact and untouched. Depending upon your goals and aesthetic demands Dr. Vito will help you determine which option is best for your specific situation. Bone Augmentation, often referred to as “bone grafting”, is a procedure to replace atrophied or missing bone in the jaw. Bone atrophy or bone loss can be caused because a tooth or multiple teeth are missing and the bone will dissolve overtime. The body will naturally re-contour the bone in the jaw if there is not a tooth root or implant to maintain the bone level. Bone grafting is usually used in conjunction with implant placement. Implants have the best the best chance of success when surrounded by thick health bone to maximize aesthetics and longevity. There are a variety of way to replace lost bone. Below you can read about different examples of bone replacement therapies. In a bone graft procedure, Dr. Vito has many options to restore the integrity of the bone based on location. Dr. Vito can utilize a multitude of bone graft materials as well. Special bone grafting material and/or bone substitute material prepared by bone banks, or harvesting bone from another area of your body jaw, hip or rib. These materials are then grafted or joined onto your jaw bone to repair the defect. A sinus augmentation, or “sinus lift,” is a surgical bone grafting procedure that is performed in the maxillary (upper jaw) sinus cavity (above the area that anchors your teeth) to prepare the patient for dental restoration. Some patients have such small amounts of existing bone in these areas that dental restoration simply cannot occur without sufficient formation of new bone. Dr. Vito may feel that bone grafting is needed to form the necessary bone in this area for reliable and functional dental restoration. BOne graft material will be placed into your upper jaw to promote bone growth in the floor of the sinus cavity to anchor the dental implants to allow for dental restoration. A bone graft procedure can help achieve the bone height required by dental implants. A block bone graft is done when there is a large section of bone that is missing. That area of missing bone is usually the outer wall of bone that faces your cheek. A block graft can be harvested from the patient from the chin, angel of the lower jaw, hip or it can be a human or bone substitute. The block is ordered or harvested at the size of the needed replacement. The block is tacked into place with a fixation screw or tack and left to heal for a period of six months until the patient’s body accepts the graft and in becomes natural bone to the patient’s body. After the healing phase is complete the area is ready for implant placement. A particulate graft consists of small bone particles place strategically around a tooth site. Particulate grafting is usually for a small single tooth area in preparation for a single implant placement. Particulate grafting can be done before or during implant placement. It is often completed when an extraction is done and an implant is placed at the same time. The particulate bone is placed in the voided area around the implant for optimal healing of an implant. Particulate bone grafting can also be used in a Bone Tunnel Technique to increase the width of narrow jaws. This is a safe, patient-friendly method to augment bone. The minimally invasive tunnel technique is relatively less morbid and less technique sensitive, and often it does not require flap elevation or membranes. 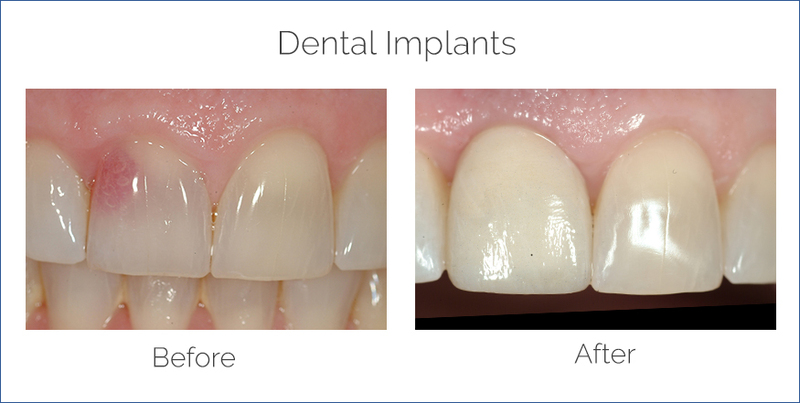 Experience Saved, Preserved and Strengthened teeth with Dental Implants!